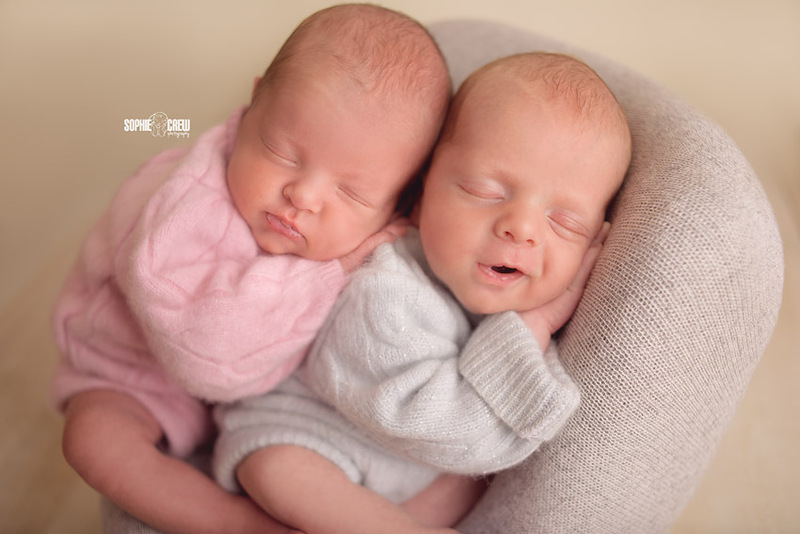 Meet the cutest and newest little newborn twins – Bruno and Martina! 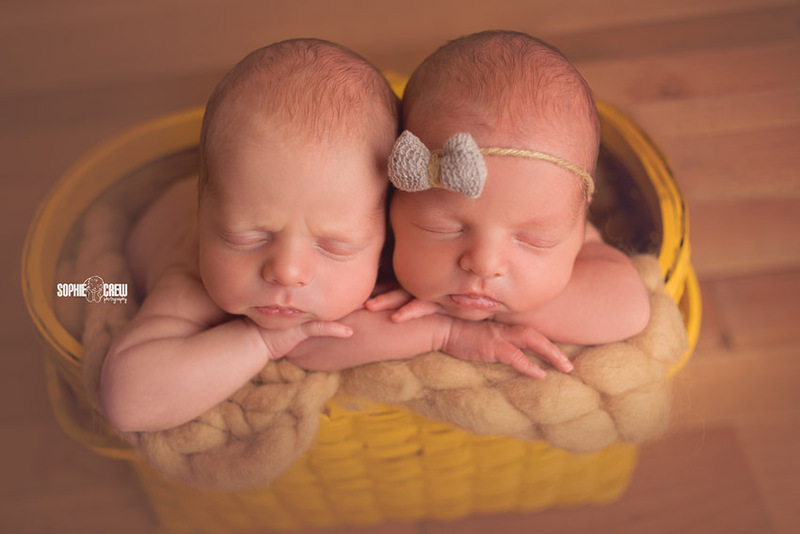 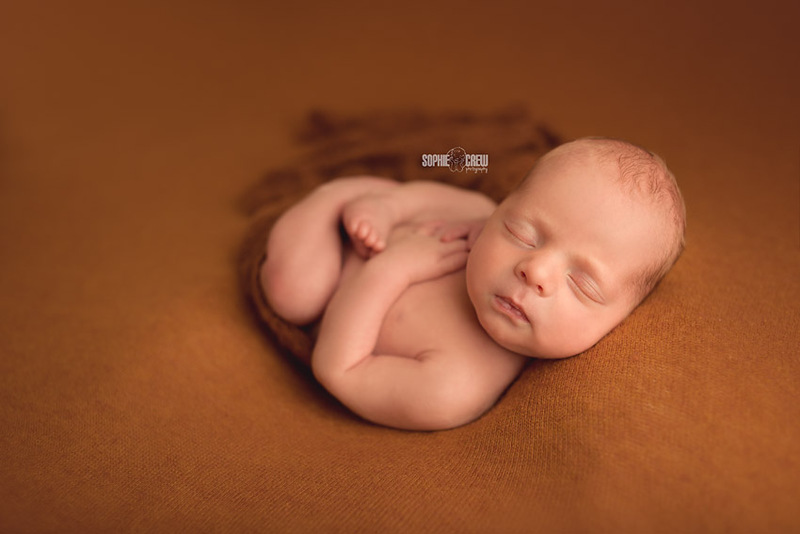 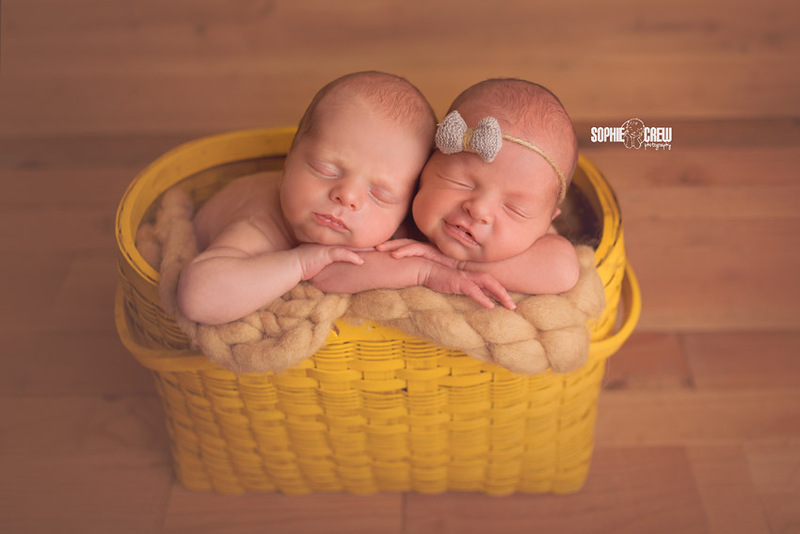 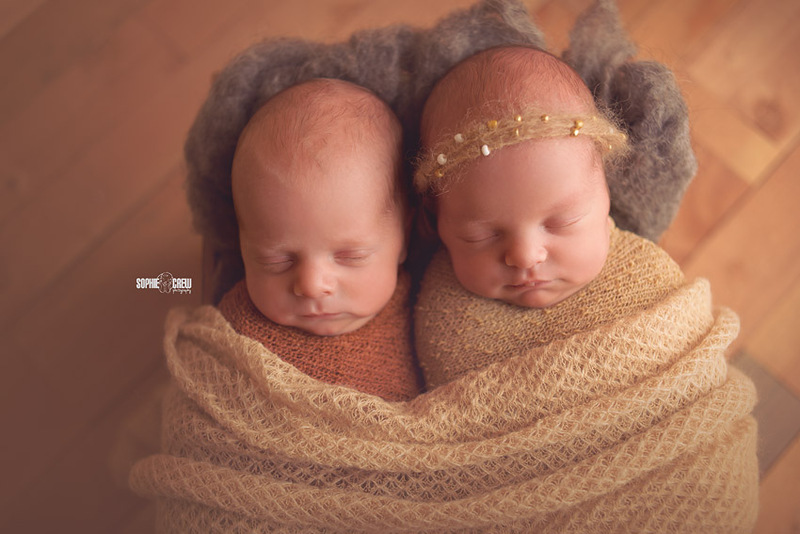 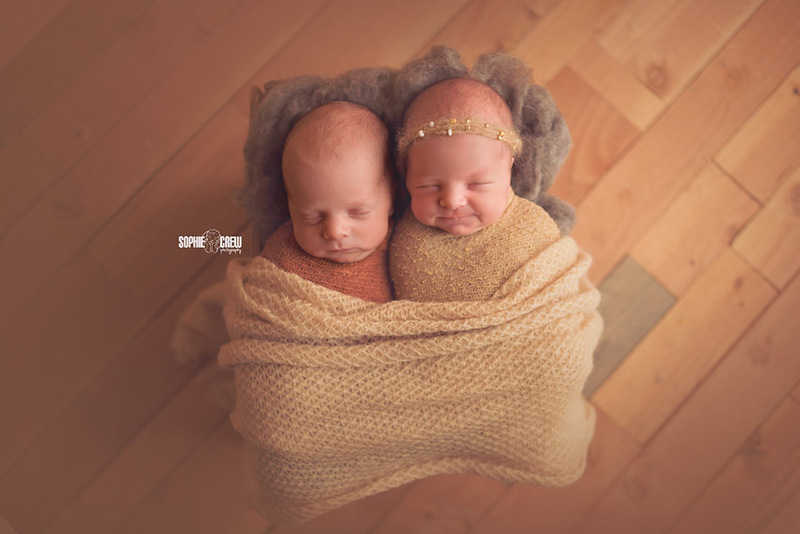 These two cuties came to the studio earlier this week at just two weeks old for their twin newborn photography session. 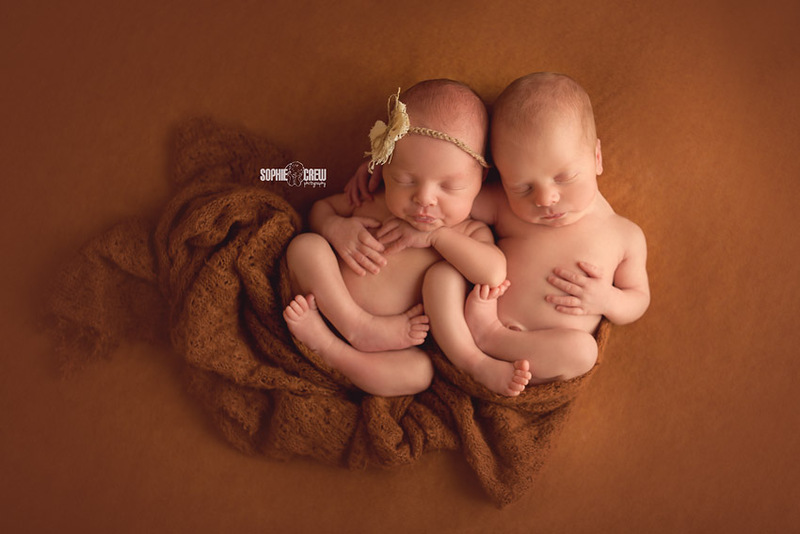 They were both so cute and did a great job with sleeping and letting me pose them. 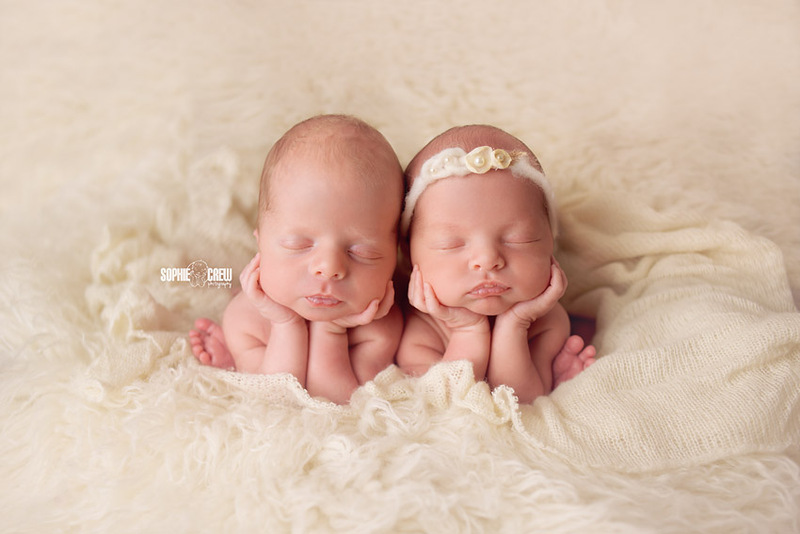 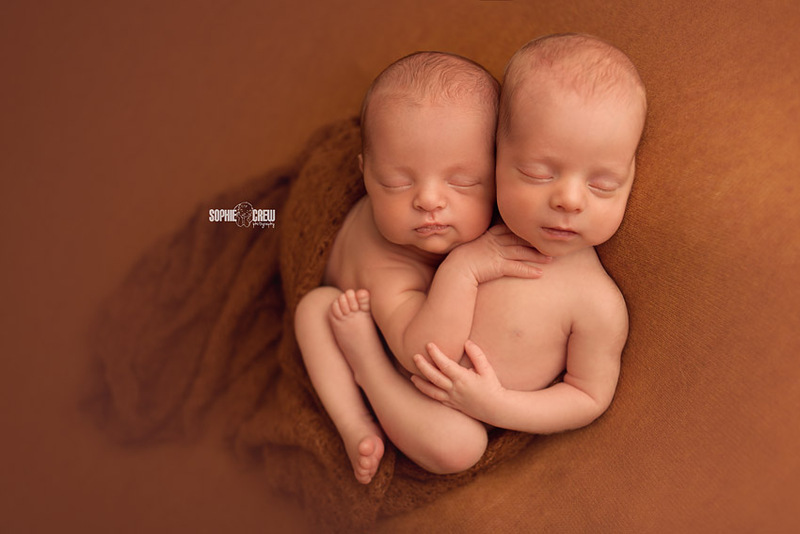 Photographing newborn twins is quite the task. 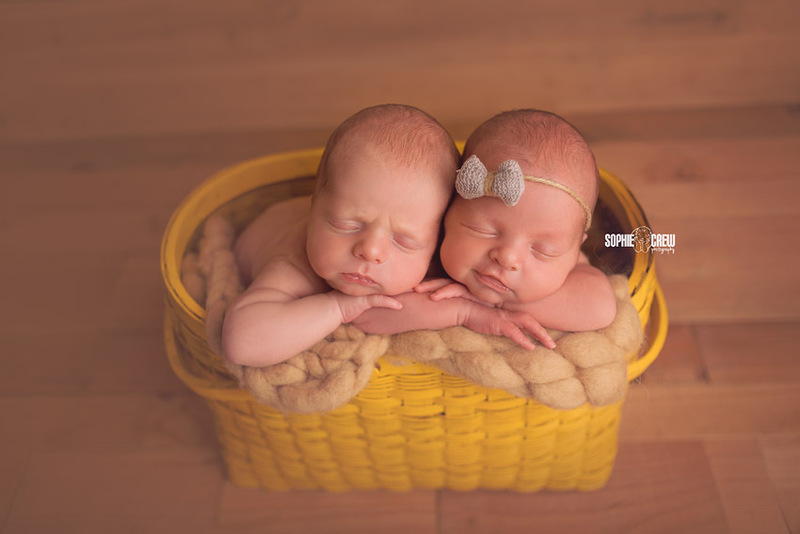 Thank goodness I had the assistance of these sweet babies’ parents that took part in helping out a ton during our session. 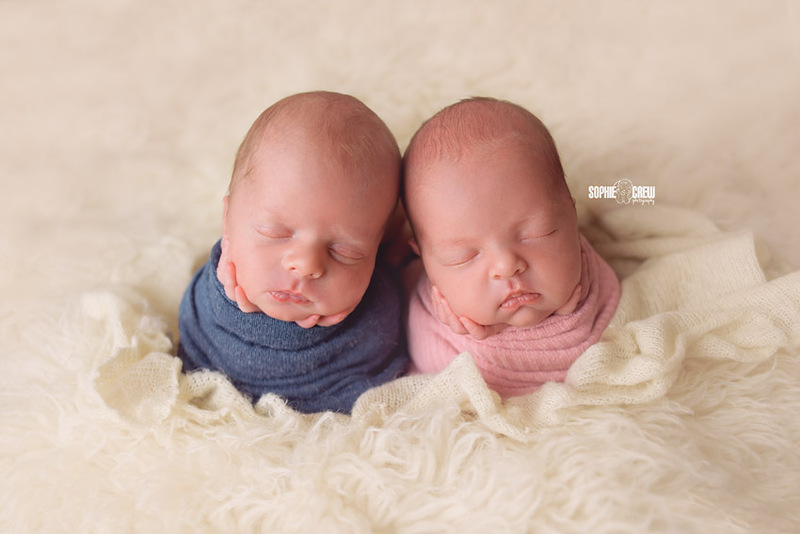 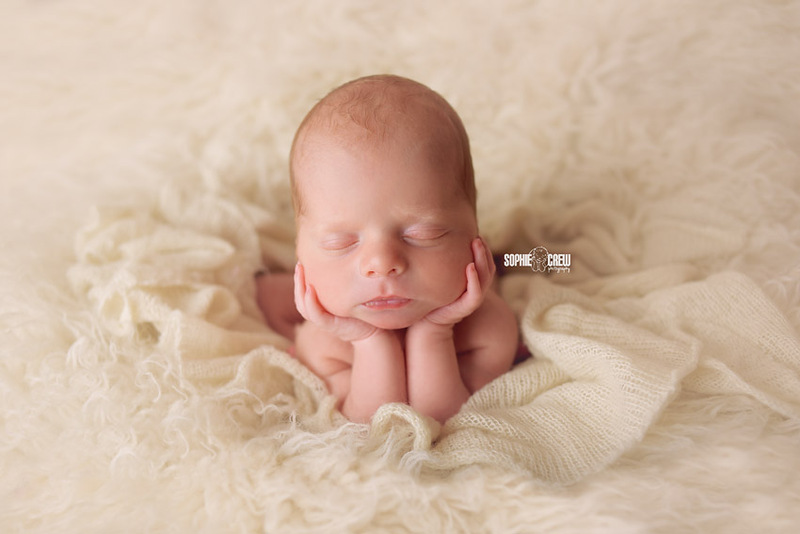 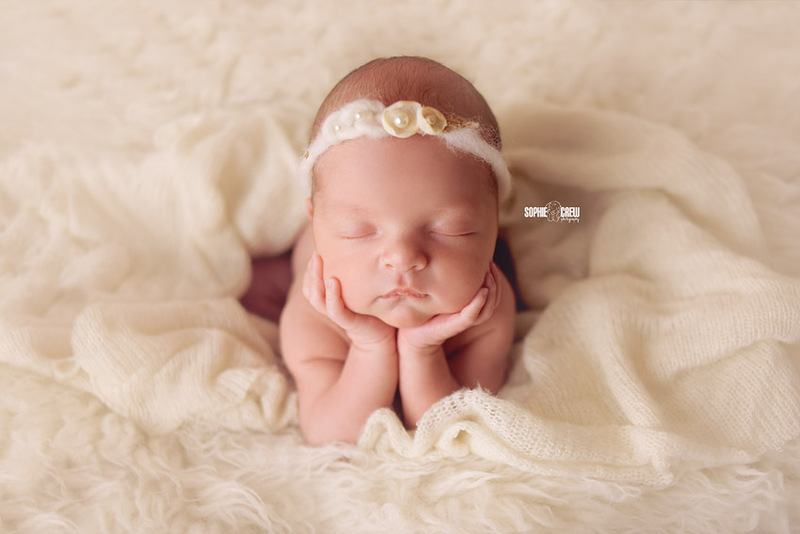 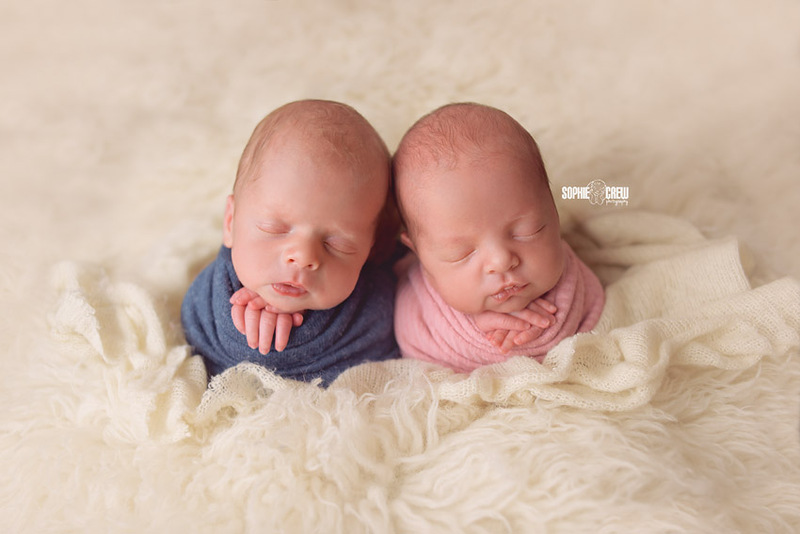 It’s funny – anytime I photograph twin newborns, I will set up one twin in a pose, then move over the twin to pose them, just as twin #1 will move out of the pose. 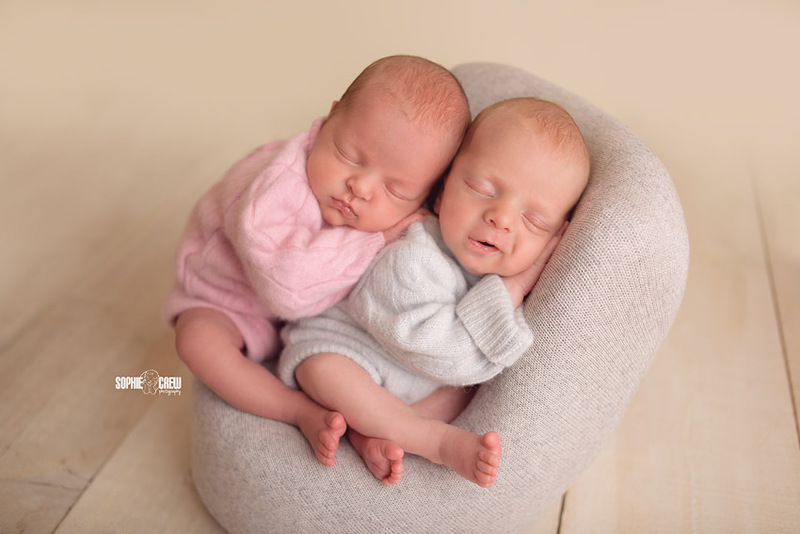 So then it’s back to fixing #1 while #2 moves… it’s so funny! 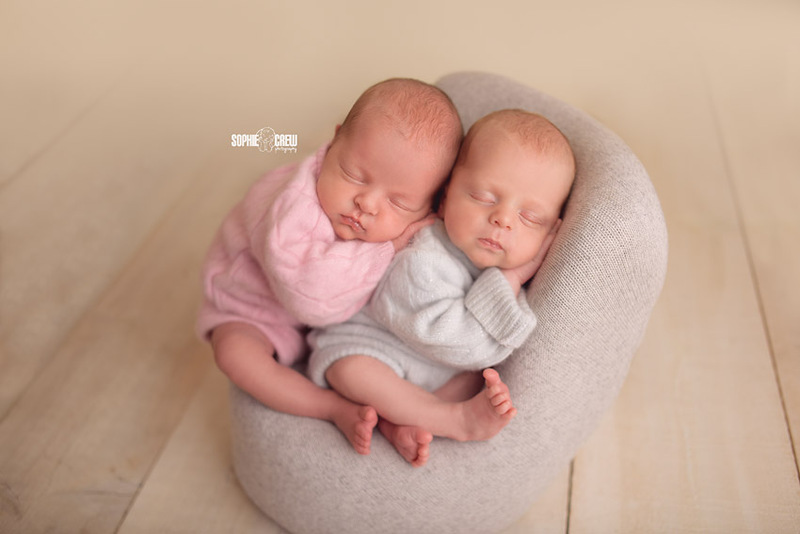 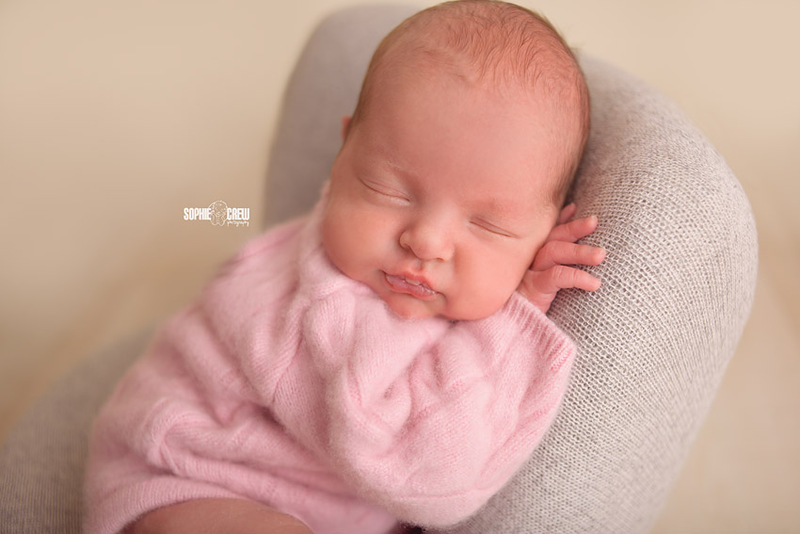 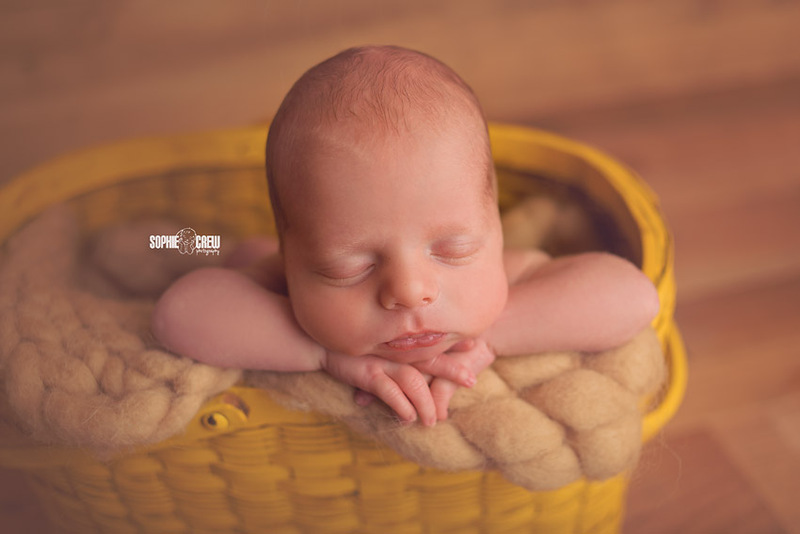 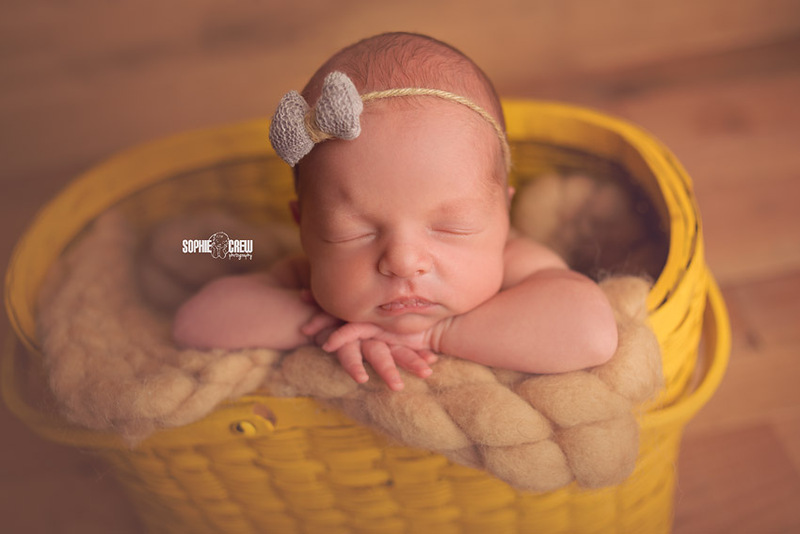 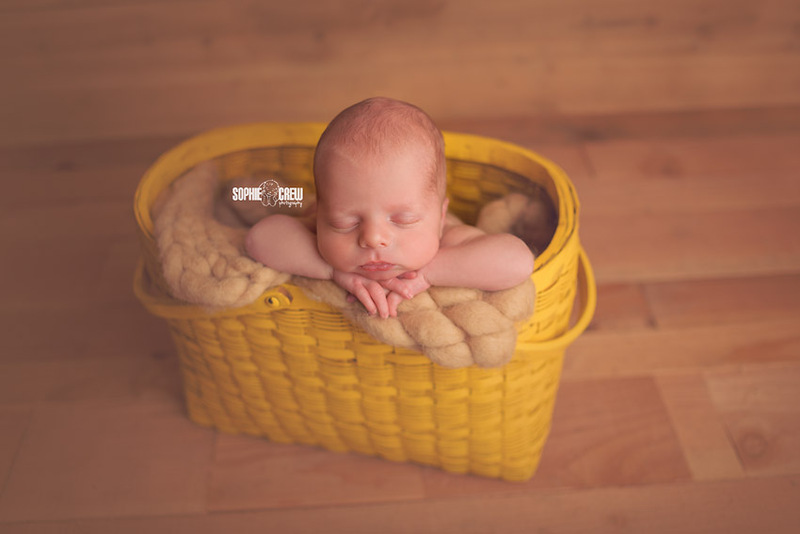 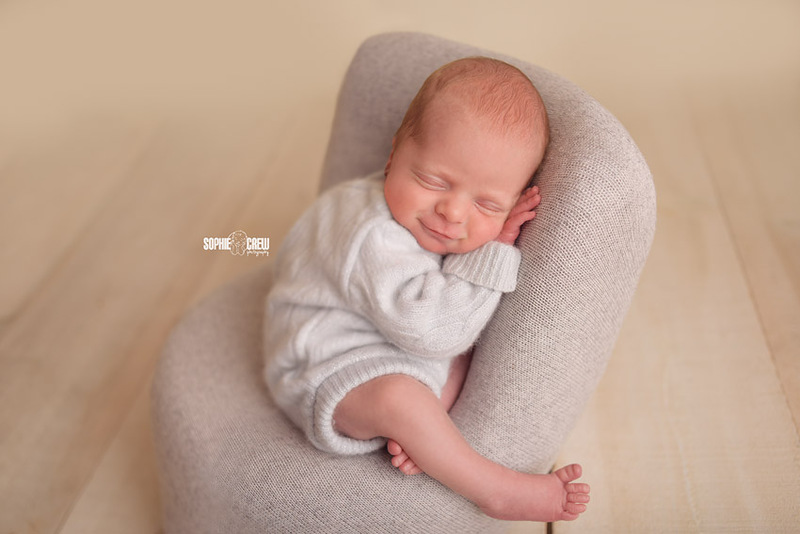 Back to our adorable little duo… here are a few images from baby Bruno and Martina’s newborn twin photography session… enjoy! 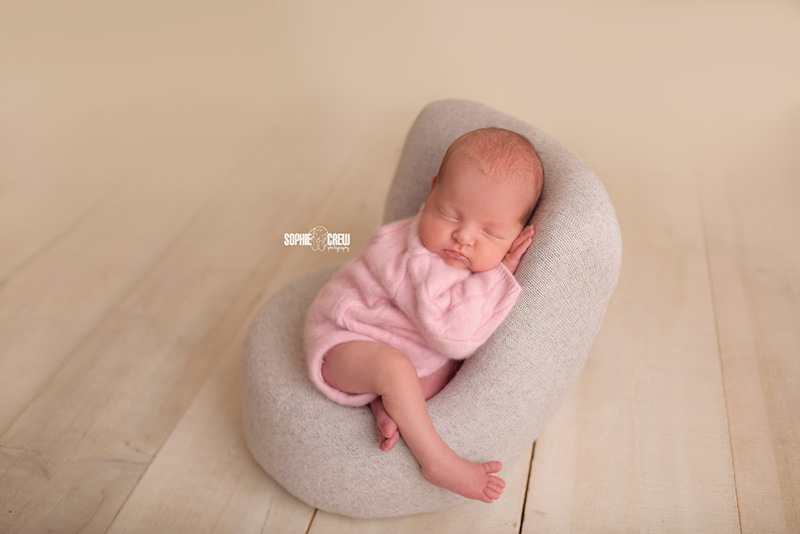 Follow Sophie’s work on Facebook and Instagram!